A blog tour is where you link up with other bloggers to introduce readers to new blogs. I am excited to join this Blog Tour where we share why we blog and how we go about writing about our blog posts. I was linked up to this blog tour by a friend and fellow mum blogger, Sandra Tan-Lasternet from Parenting Across Two Cultures. Sandra and I connected last year when we attended the same Parenting With Confidence course and discovered that we had some things in common. Our daughters were the same age and attended the same kindergarten, Two by Two Schoolhouse. We lived in the same neighborhood. We are both in inter-racial marriages and are avid practitioners of conscious parenting. Universal Scribbles focuses on two main areas — Universal Woman and Universal Parenting. In the former, I blog about juggling the the multiple roles of a woman in the 21st century, work and life, while in the latter, I blog about family and relationships, parenting and discipline as well as education under the Singapore system. Currently, I am working on a few series. One, Women With A Cause — about women who are passionate about the causes they champion, two, Seasons of Mom— about the different phases mothers go through and three, Parenting With Confidence — about our developing roles as teacher, manager and coach during the different phases of our kids’ growing up years as pre-schoolers, primary students and teenagers. As a parent facilitator and budding Parenting Coach, I am passionate about positive and conscious parenting. But knowing these principles in theory and coaching other parents about these principles are very different from applying those same principles to your own kids. From time to time, I still falter and commit parenting faux pas (i.e. lose my cool and scream at my kids). This blog documents my learning journey as I try to internalize positive parenting skills, lessons learned from my mistakes and how my husband and I integrate the old and new schools of thought, Asian and Western parenting styles to deliver the best of both worlds to our children with hopefully, the best optimal outcome. I started this blog after I resigned from my position as Editor of theAsianparent.com to focus on my kids’ education development. My plan then was to seek freelance writing assignments that will allow me the flexibility to stay with my kids and acquire some monetary compensation. At first, the blog was just a platform to showcase my articles and for me to continue writing. When PR and marketing executives called on me to blog and review about their clients’ products and services, I was happy to oblige as it provided more fodder for my blog. As reviews and writing assignments start to snow ball on my blog-steps, I saw the potential… I just kept writing, reviewing and blogging. Two years later, voila… here I am. On this blog tour. And loving what I do. I write mostly in the mornings when the kids are in school, or in the evenings after they are in bed. I write whenever the writing fairy moves me or when an assignment lands on my steps. The number of posts per month varies depending on how hectic my schedule gets with the kids and my other work commitment. But as the blog gains momentum, I try to write at least ten posts a month, more if there are activities or events that I feel my readers will be interested to know. I also structure my posts towards a theme like primary school, Mother’s Day or special occasions, and am trying out new editorial content like the series mentioned above. Well, thank you for reading about me. I hope you will come back to visit my blog from time to time. I will love to hear from you. 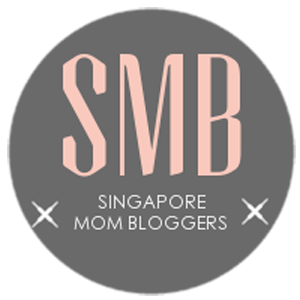 I am linking you to another wonderful mummy blogger, Christy whom I met at a Singapore Mom Bloggers workshop. Christy is a hardworking full-time working mom with 3 lovely kids. She shares her parenting thoughts and experience on her blog Kids “R” Simple. Do hop over next Monday, 23 June to read about her blogging process.